Continuing with profiling relatively unknown supporting actors of Italian/Euro PEPLUM films. Today it's Benito Stefanelli who was always a supporting actor, never a leading actor, but also acted as Weapons Master/Fencer/Stuntman in many films as well, PEPLUM or not, including classics such as DUEL OF THE TITANS, THE GOOD, THE BAD AND THE UGLY and ONCE UPON A TIME IN AMERICA. According to IMDb, his first film was ULYSSES (1954) the Kirk Douglas vehicle. I tried to find him in it but there are so many actors and shot at a distance that I could't find him. 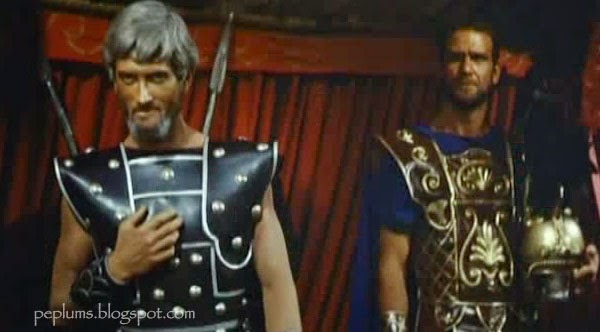 I had the same problem in finding him in SON OF SPARTACUS, DUEL OF THE TITANS and A QUEEN FOR CAESAR. 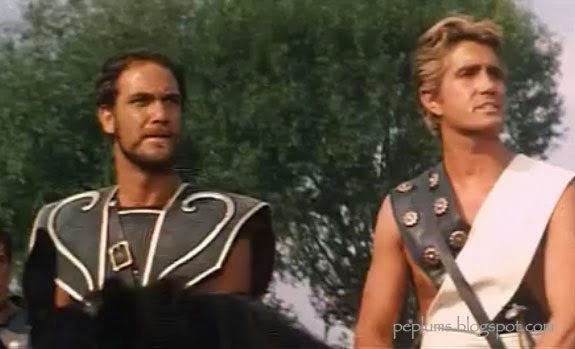 He's also in THE TROJAN HORSE even though he's not credited for it, at IMDb or in the film, which is odd as it's one of Benito's biggest and best roles. IMDb is filled with errors so I'm certain there are more roles of Benito missing from this profile. 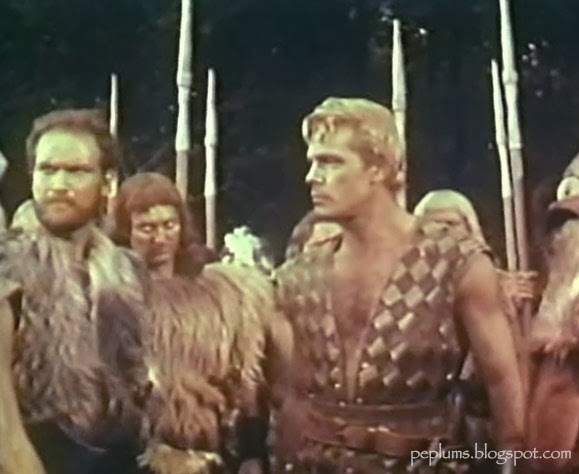 His other big roles were in THE LAST OF THE VIKINGS, THE BACCHANTES, WAR OF THE TROJANS and REVENGE OF THE GLADIATORS. If you look at him quickly he can be mistaken for Claudio Scarchilli. In fact, Benito is credited to be in MESSALINA (1960) but I can't find him in it but Claudio Scarchilli is in it and yet he's not credited for that film. PEPLUM confusion. Benito in a brief role in TERROR OF THE RED MASK. 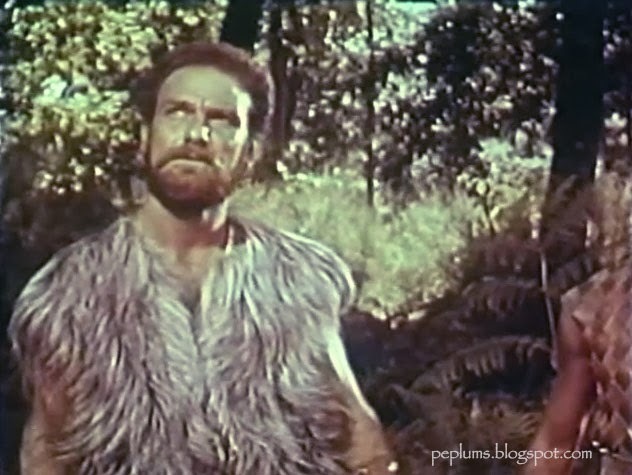 Benito in THE LAST OF THE VIKINGS costarring George Ardisson (below). Benito's role is substantial in this great film. Benito's best role was probably in THE TROJAN HORSE, which he's not even listed at IMDb or the film's opening credit. 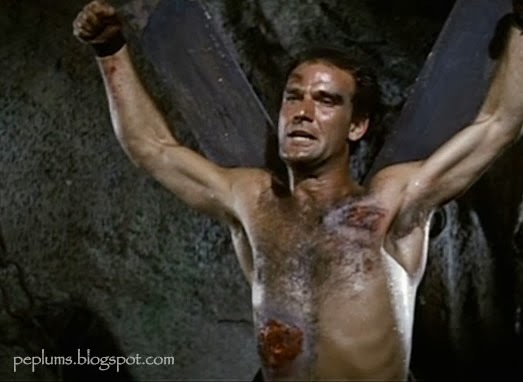 His duel with Steve Reeves is the highlight of his career (below) and one of the best scenes in this movie. He plays John Drew Barrymore's right-hand man (above). Because he was a stuntman/weapons expert, he's doing the stunts during the duel. 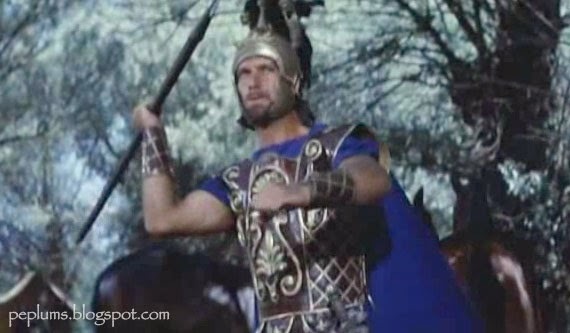 Benito went on to appear in WAR OF THE TROJANS (aka The Avenger), the sequel to THE TROJAN HORSE, again starring Steve Reeves and Giacomo Rossi-Stuart (above). He's a good guy in this film. 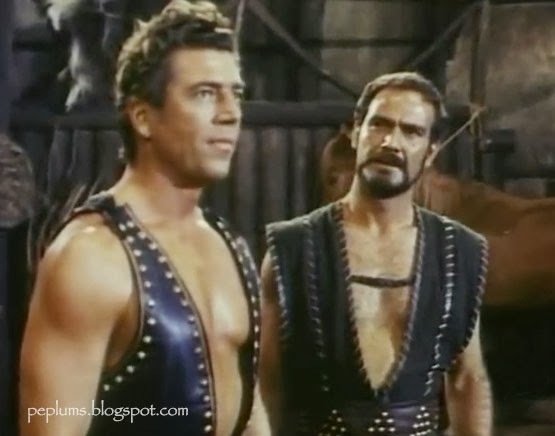 One of Benito's last PEPLUM films was REVENGE OF THE GLADIATORS, starring Mickey Hargitay (above). Benito played a gladiator and was part of a team called The Invincible 6 (below). Really interesting! People like Benito were the backbone of the Italian film industry. Stars may come and go for various reasons, but these guys remained.